Kearsley’s blend of historic and contemporary makes for a good mystery! My husband is not a very reliable source of new mystery authors. I plow through more fiction than he does, definitely more mysteries. Plus, I read lots of publications (The Strand Magazine, Entertainment Weekly, O, Chicago Tribune, NYT, etc.) 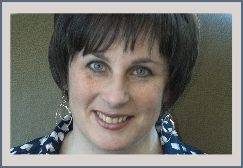 and blogs, all of which serve as a source of “what’s new” in books. In Named of the Dragon, literary agent Lyn Ravenshaw is spending Christmas with one of her more eccentric clients, author Bridget Cooper. Lyn’s had two tragedies in her life: not only is she a widow, but her only child died as an infant. It’s a pleasant story with romantic elements: Bridget, who has a suitor, is enamored of a renowned local playwright, who actually seems more interested in Lyn. Lyn, who often dreams of her lost child, begins dreaming of a mysterious woman and a little boy. Is it bits and pieces of history and her own personal history coming together in these dreams, or are these real people from the past looking for her help? And of course, these visitors from the past have an impact on today’s mystery: is someone tormenting Elen, a young single mother, or is she just crazy? Its not as knotty as I’m making it sounds, but it’s contemporary romantic suspense with Arthurian legend thrown in. Intriguing. 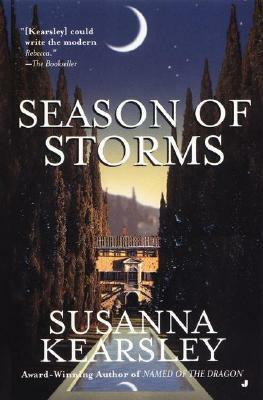 Seasons of Storms features young, headstrong actress-slash-waitress Celia Sands, who is offered the role of a lifetime performing the lead role in a play at a new venue: a gorgeous castle in Italy, Il Piacere. The drawback: it looks like she got the offer because she has the same name as the actress for whom the play was written in the 1920s. Will she fall in love with the Italian nobleman who is underwriting the play? What happened to the castle’s maid, and did it have anything to do with the no-good-nik husband of the kind-hearted housekeeper? What’s up with her two dads? (Celia was practically raised by Rupert and Brian, due to the feckless nature of her mother and the mysteriously missing bio-father.) And did the original Celia Sands really run off and leave her lovelorn Galeazza D’Ascanio on night before the play was to open? Suffice it to say that Celia gets to the bottom of all mysteries. Not as overt on the paranormal/ghostly activity front, but still a good read. Kearsley’s good with characters, develops appealingly twisty but fair plots, and pulls you in with sheer entertainment value. I also admit feeling quietly envious of the fact that she clearly goes to all these amazing, exotic locales and writes it all off as a business expense. At least I get to experience it second hand! Of the two books, I preferred Named of the Dragon, but Season of Storms was good as well and I will definitely be seeking out more Kearsley-penned novels this summer. They’re perfect for back-porch reading. 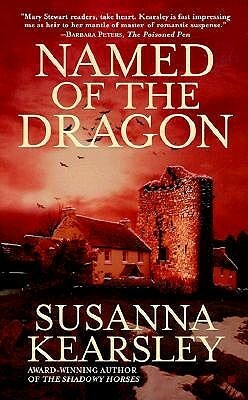 This entry was posted in Commentary, Review and tagged Named of the Dragon, Review, Season of Storms, Susanna Kearsley. Bookmark the permalink.